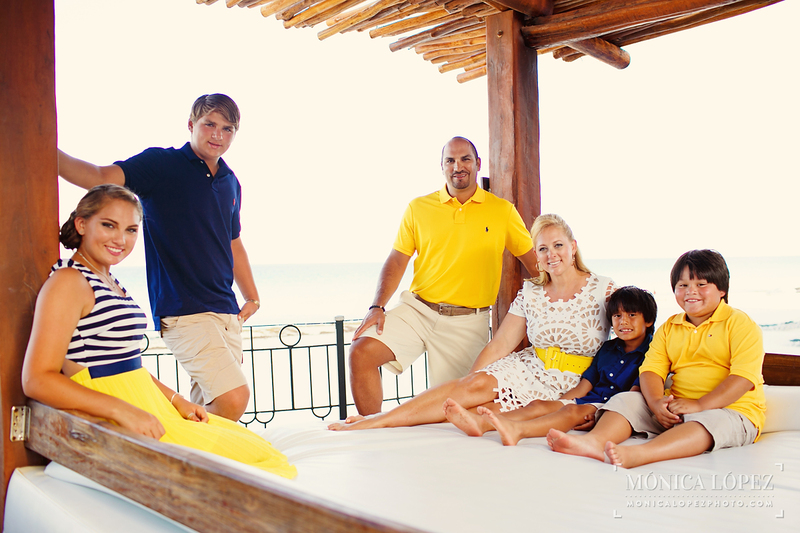 I am in love with this family’s beautiful and bold style! 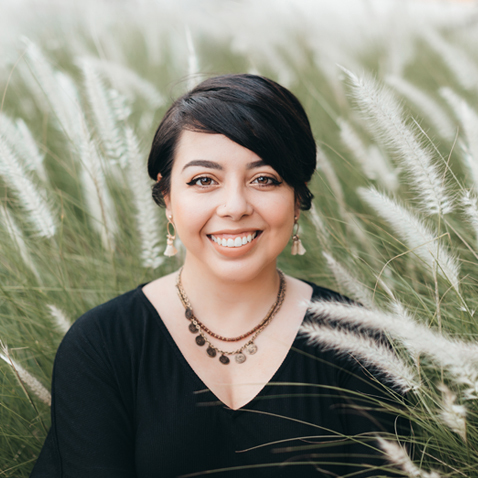 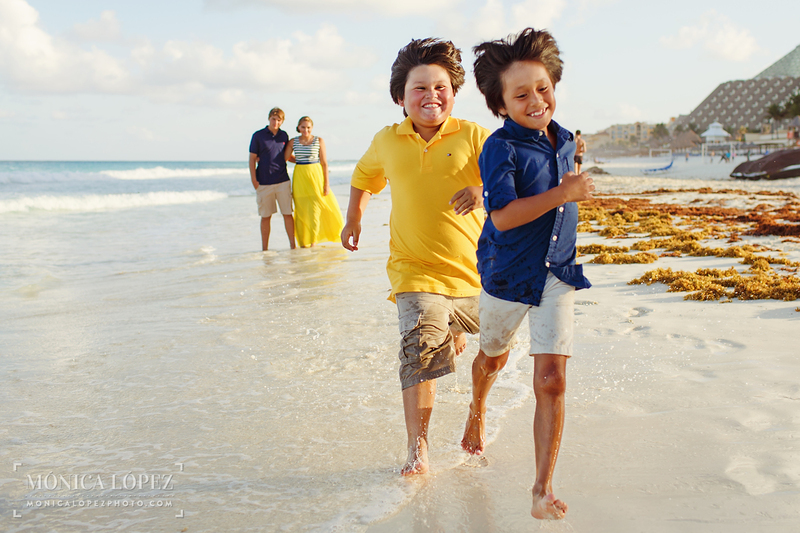 When I met up with the Tijerina family for some family beach portraits at JW Marriott, they were wearing the perfect outfits for their photo shoot. 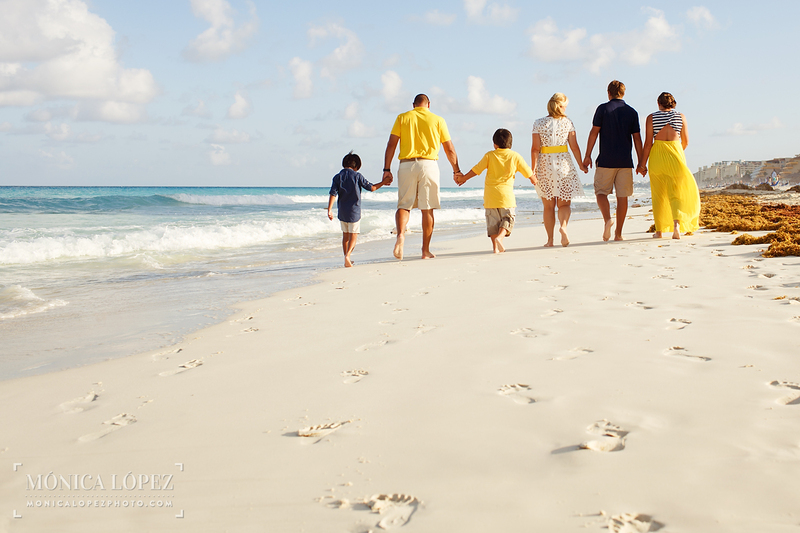 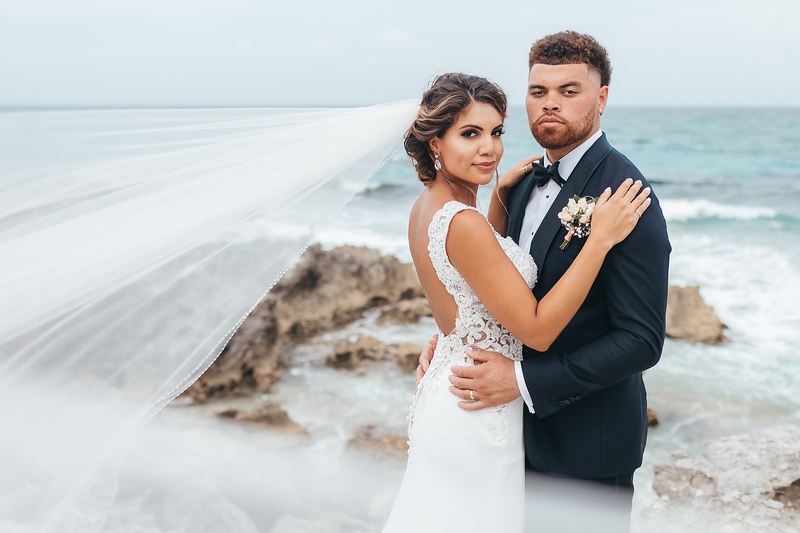 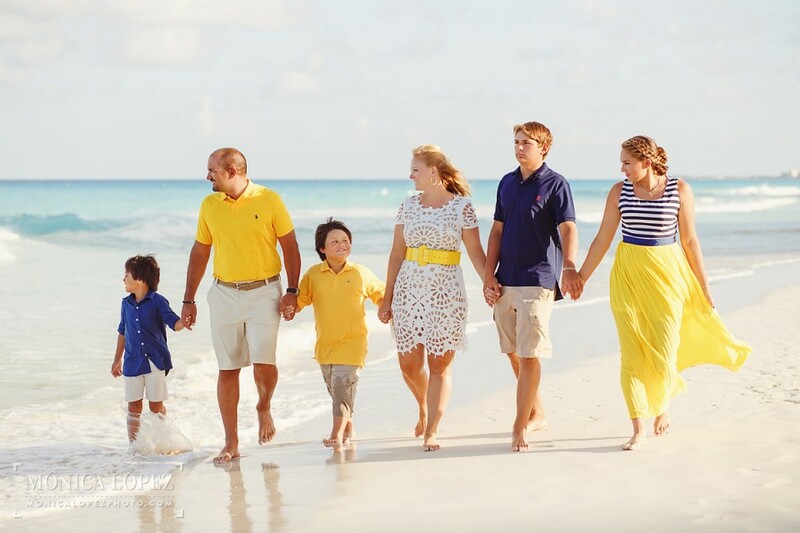 The touches of white added a serene feel that went perfectly with the beach setting, while the yellow and navy blue created a stunning pop of color to bring out the family’s fun and vibrant personality. 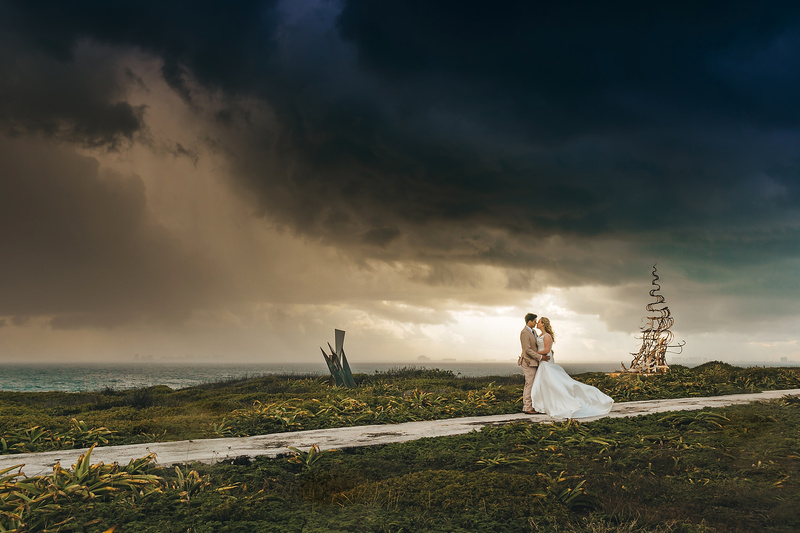 When trying to pick an outfit for your upcoming photo shoot, keep in mind that bold colors can bring something really special to each picture. 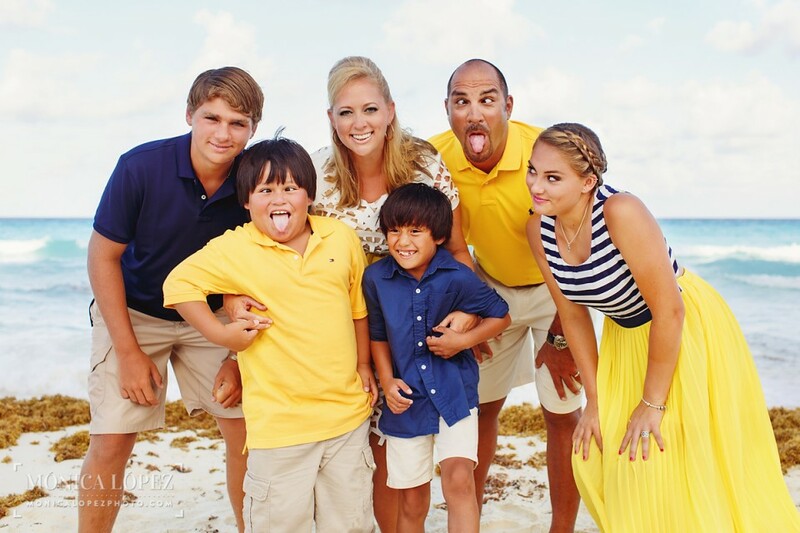 Mom Kimberly and dad Tano have a really wonderful family with such fun kids. 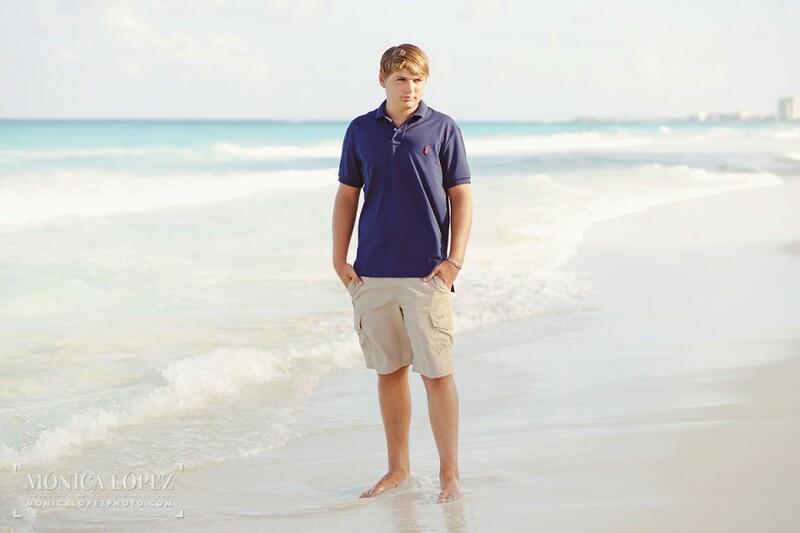 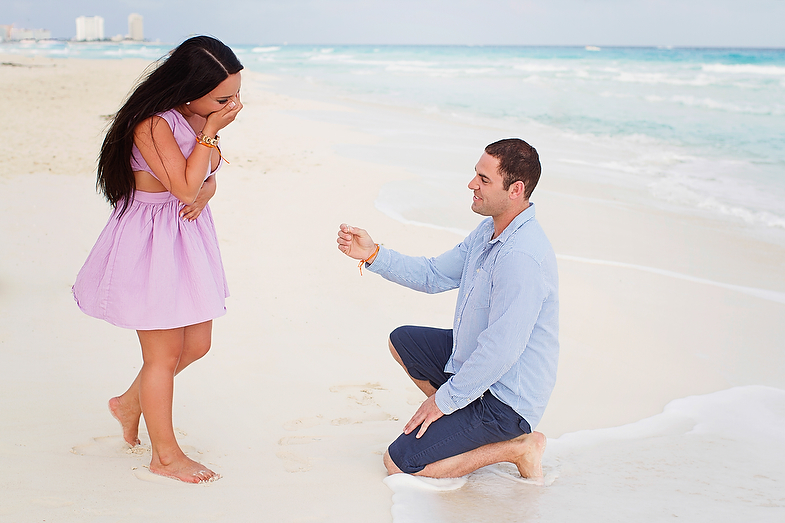 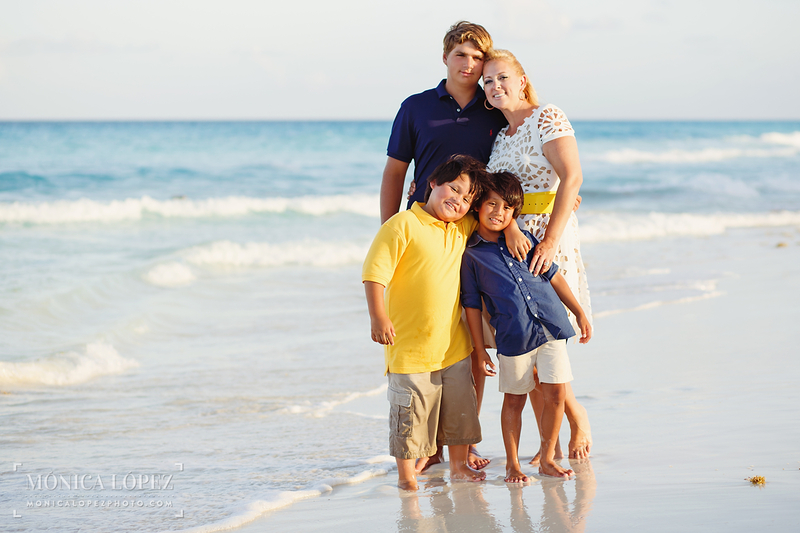 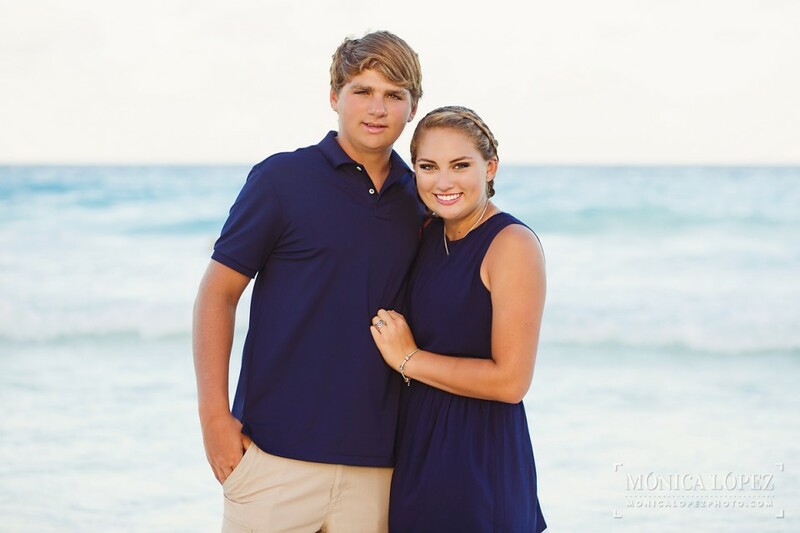 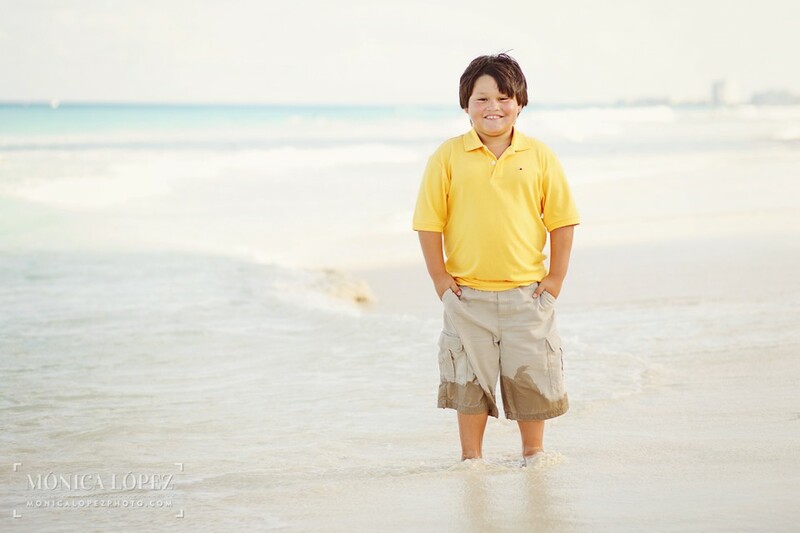 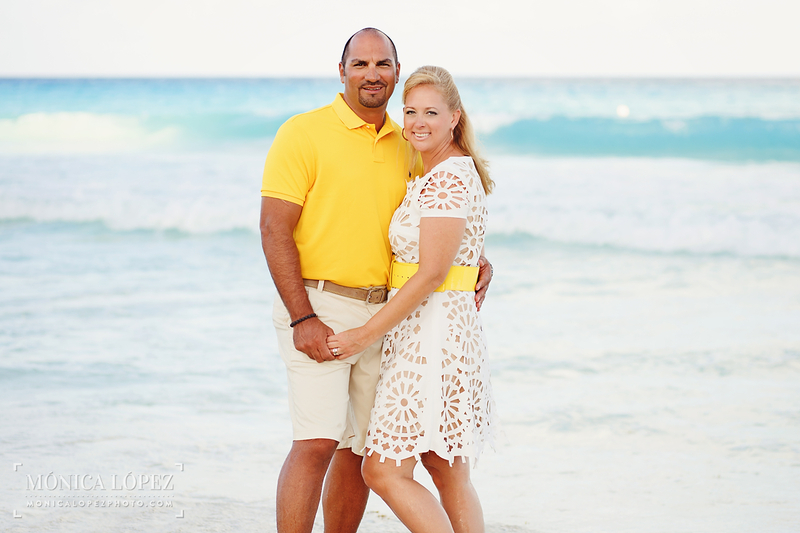 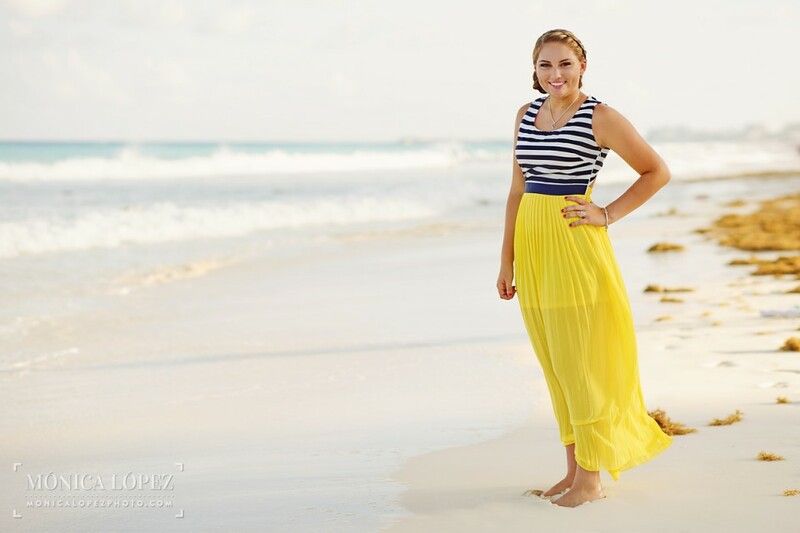 We had a blast shooting on the beach at the JW Marriott resort, located in the Cancun Hotel Zone. 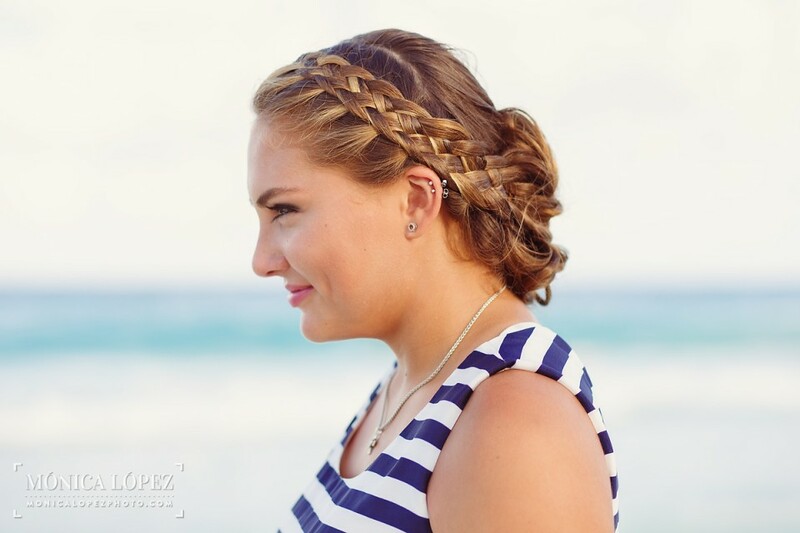 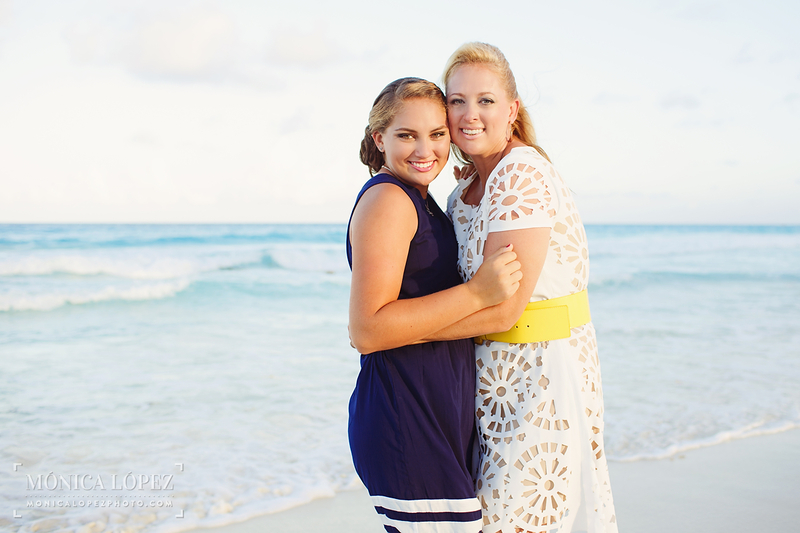 Kimberly looked so stylish in her white lace dress accentuated by a yellow belt around the waist, while daughter Bonnie styled her hair in a laid-back but stunning side braid and low bun (perfect for beach photos!) 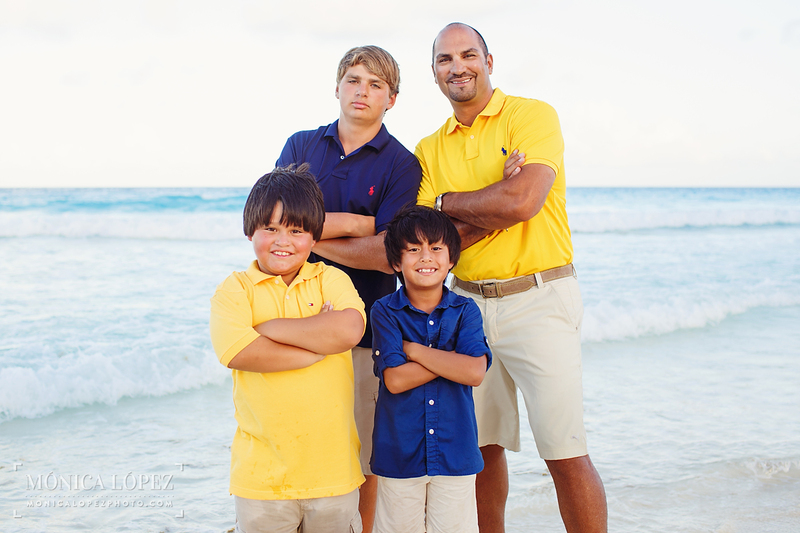 And of course, the guys all looked so handsome in their blue and yellow button-up and polo shirts. 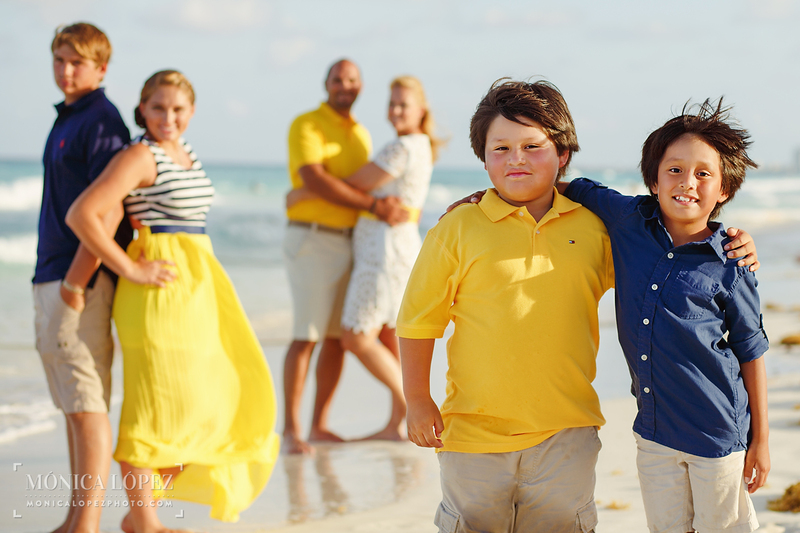 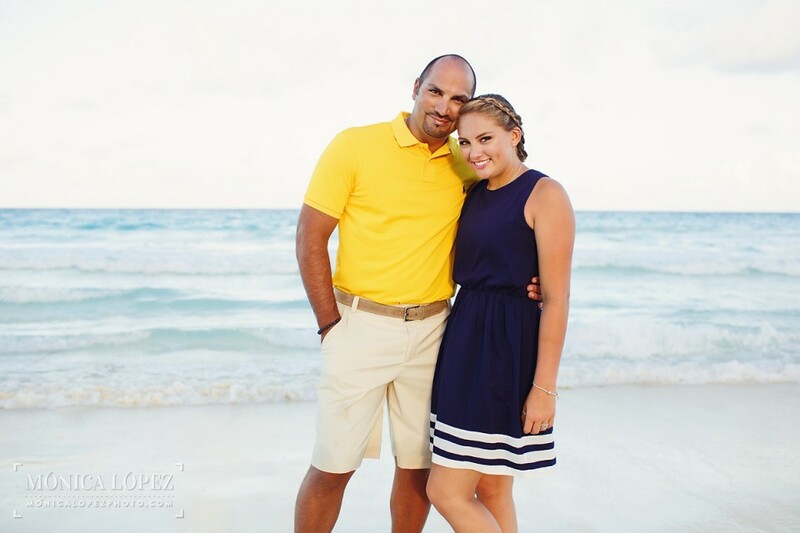 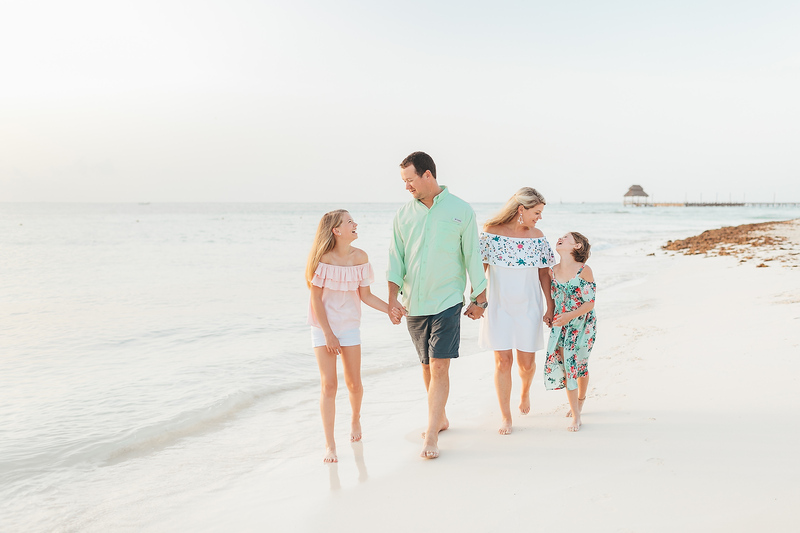 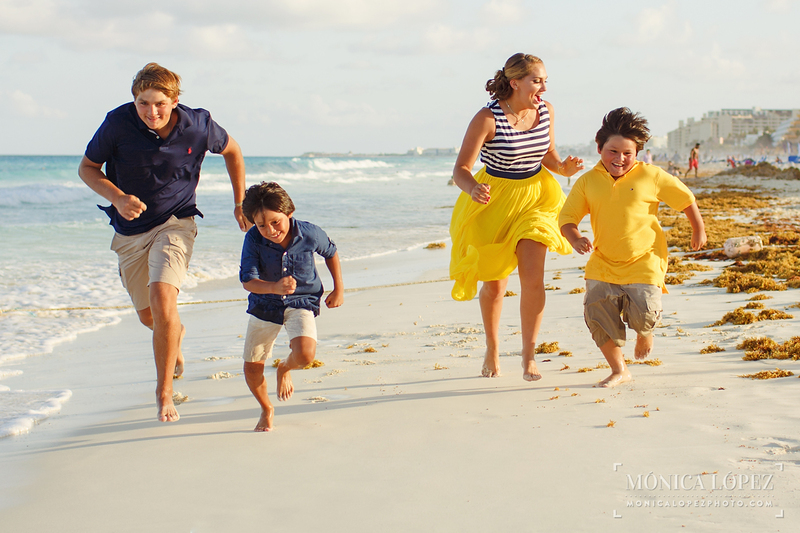 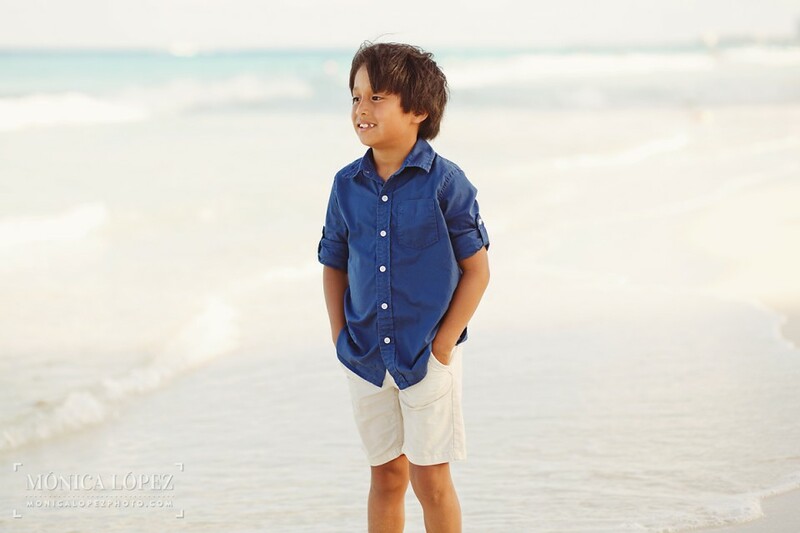 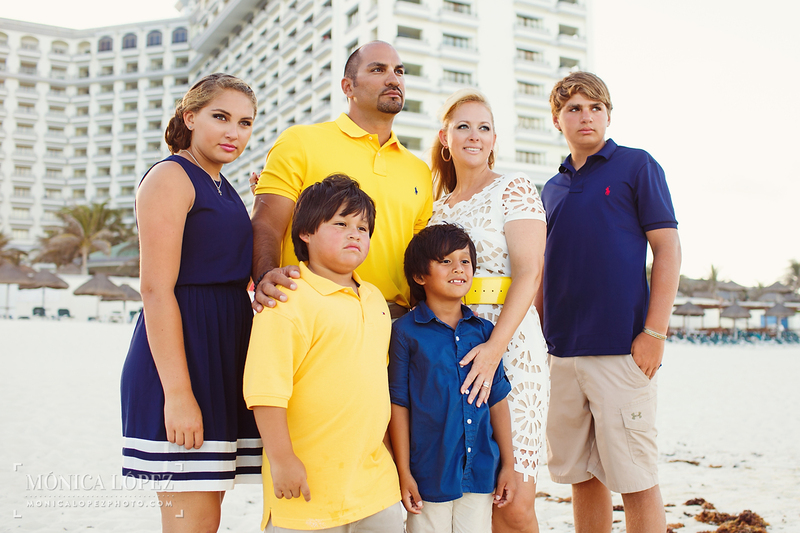 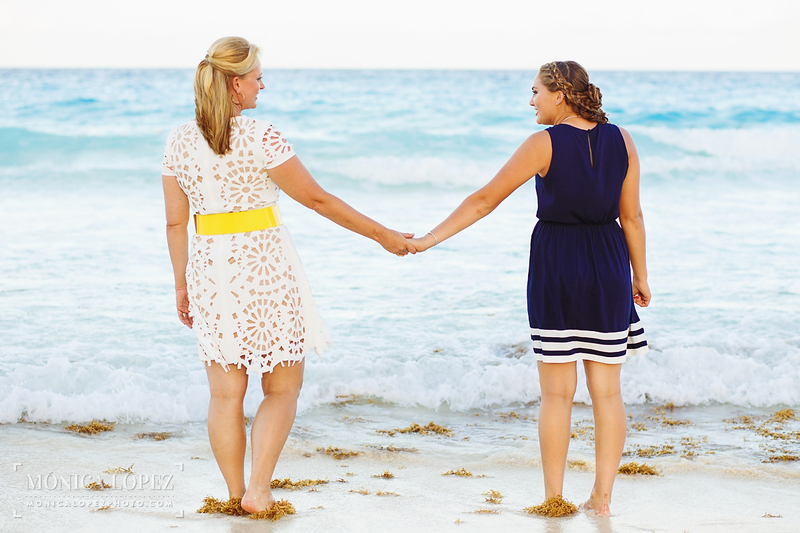 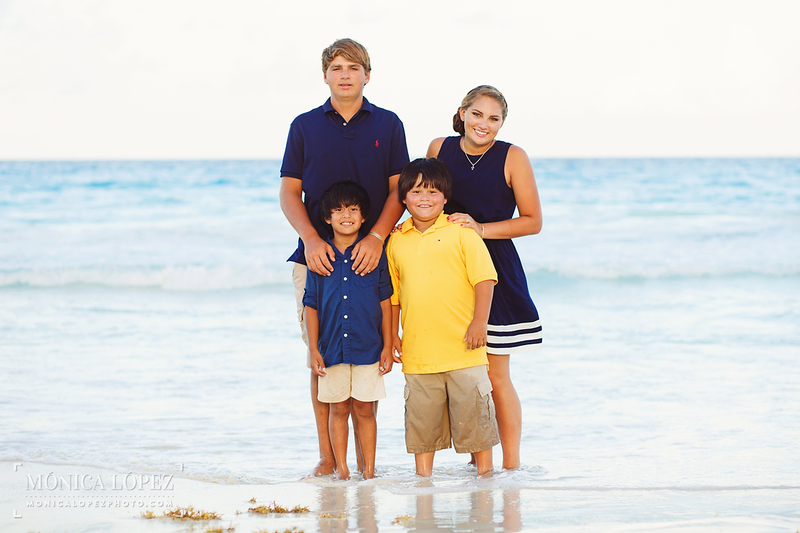 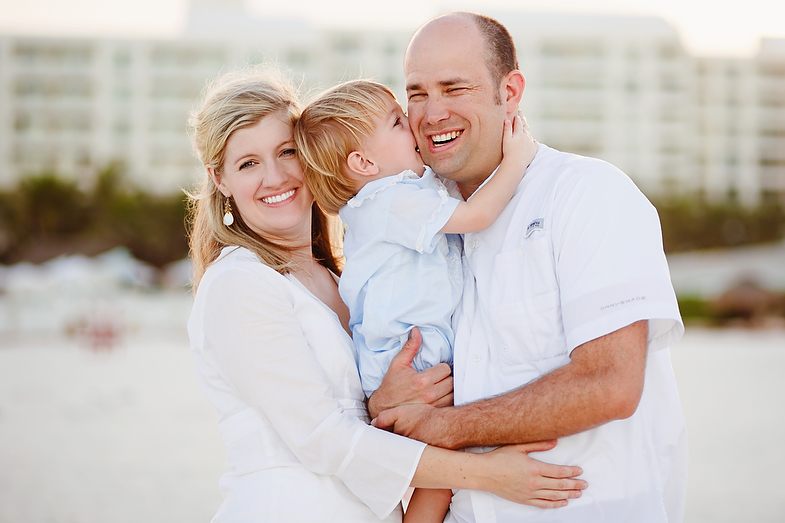 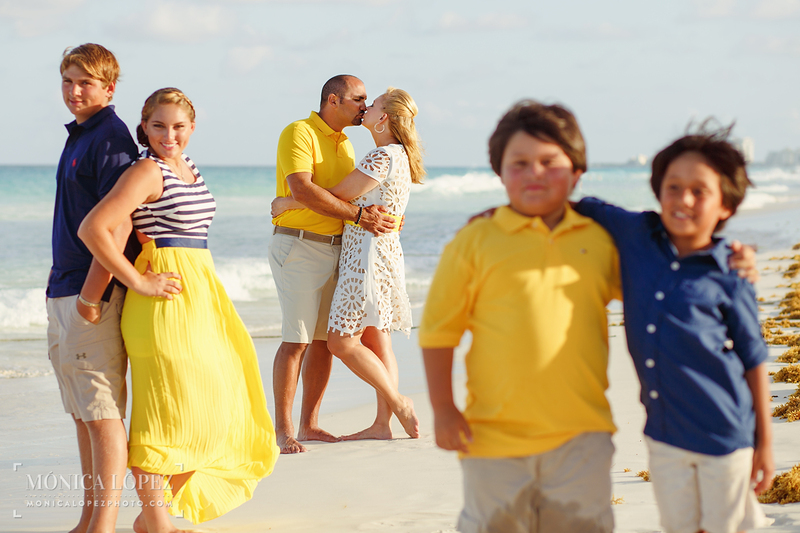 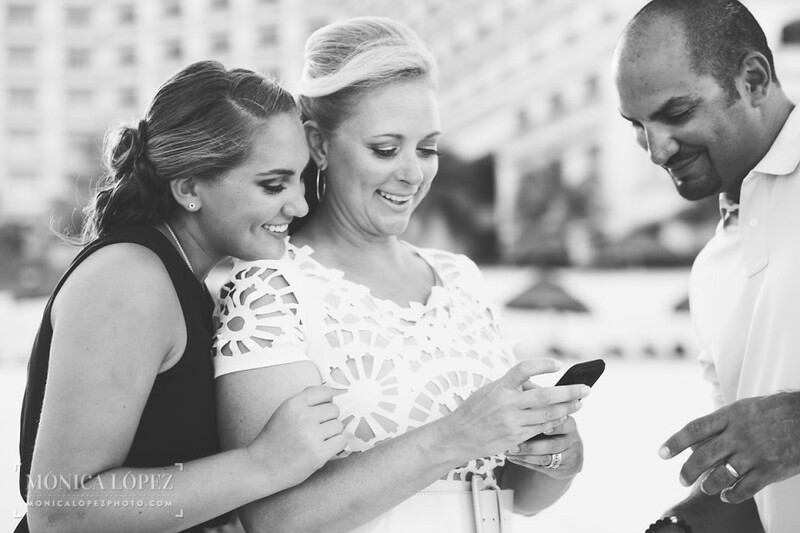 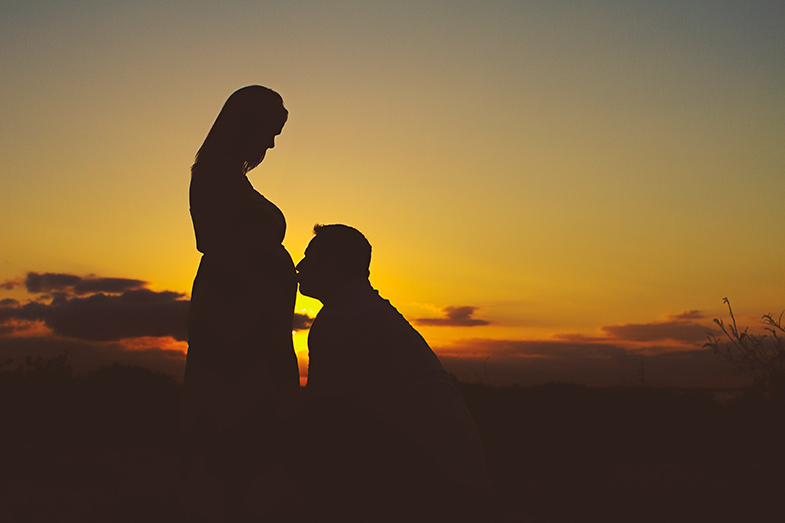 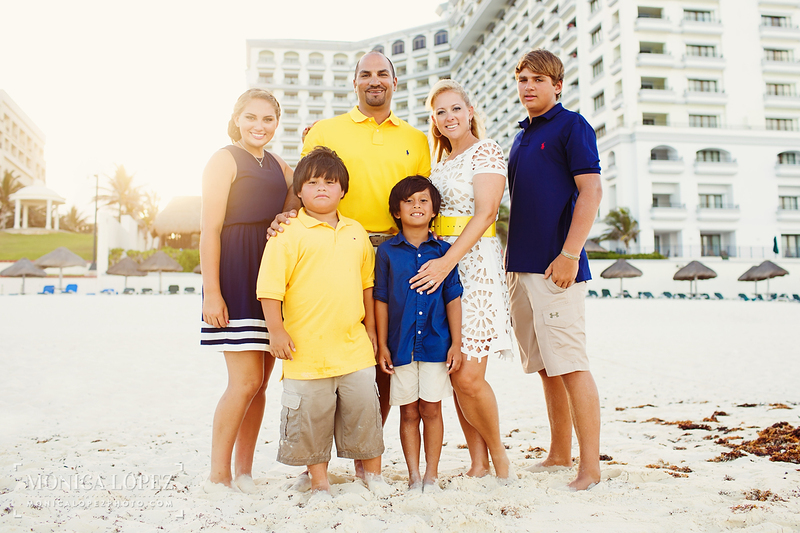 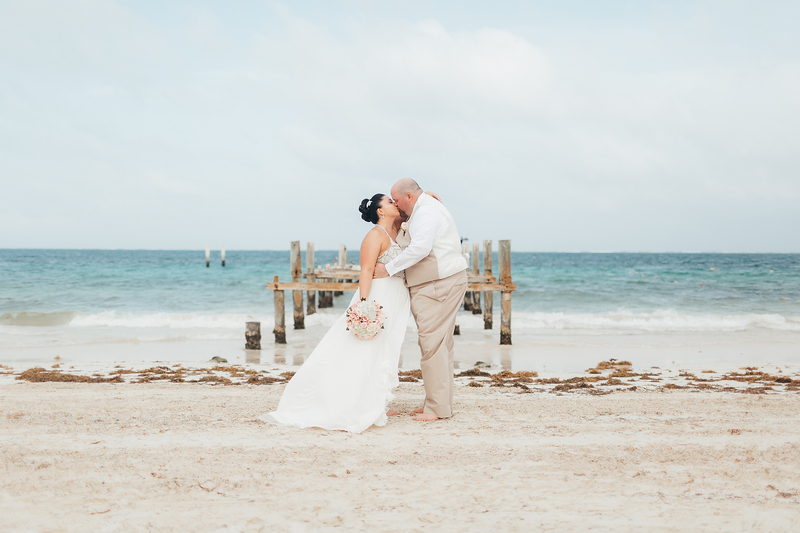 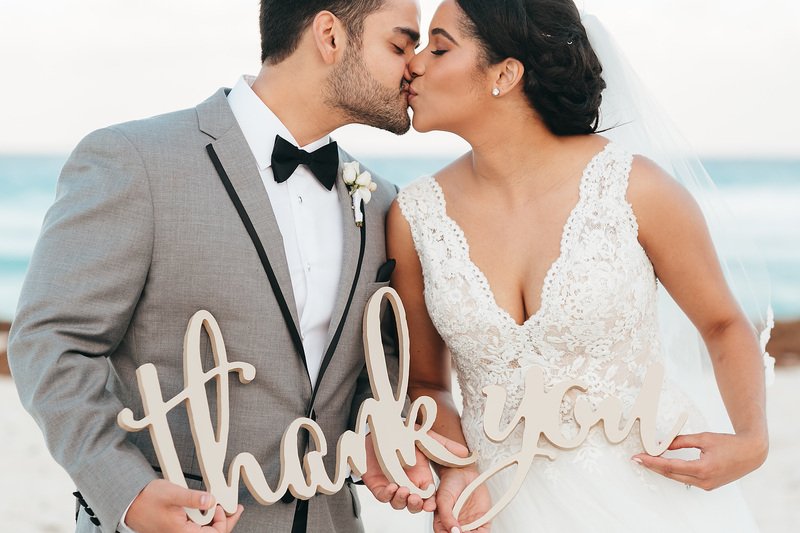 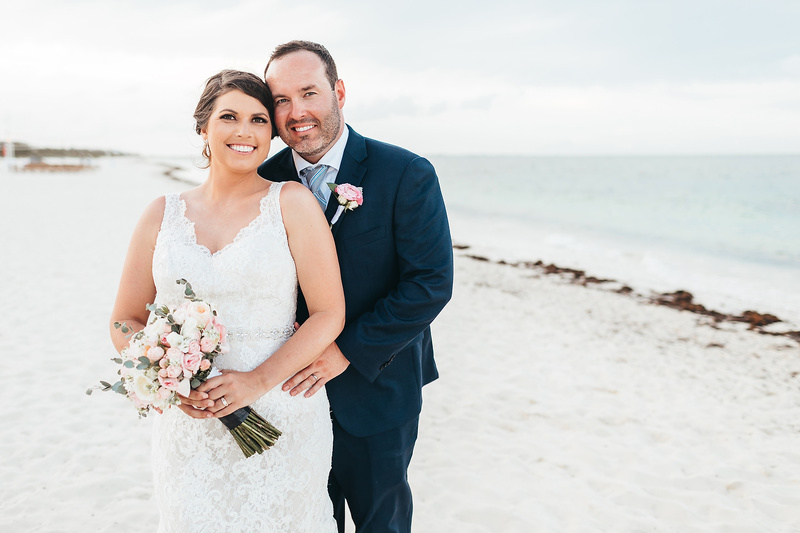 We got some silly shots and some lovely beach portraits during this Cancun family photo shoot, and I hope I captured the love of the Tijerina family.